Jason F. Abraham | Hupy and Abraham, S.C.
Attorney Jason Abraham - Managing Partner Attorney Jason F. Abraham began his career with Hupy and Abraham in 1993 and was promoted to shareholder in 1999. Attorney Jason F. Abraham began his career with Hupy and Abraham in 1993 and was promoted to shareholder in 1999. 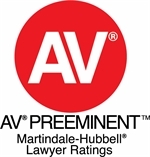 Attorney Abraham's proficiency in handling personal injury matters attracts clientele from across the nation. He has settled or tried personal injury cases with a combined value of approximately $350 million and resolved many cases for over one million dollars each. His expertise in personal injury matters has granted him lecturing opportunities in numerous states across the nation. 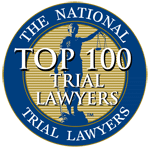 $1.9 Million Settlement for Motorcyclist Featured on "Insider Exclusive"
Jason – first off – thank you for the stellar job you did for me involving my accident. I shudder to think how things would have panned out had I not contacted you. Yikers. You did a HELL of a job keeping me in the loop, keeping me informed of what was going on, what was going to happen next, and essentially easing my mind. You never made me feel like I was bothering you—though I still kind of did. Anyway – to make a long story short, please feel free to add me to your, what already must be lengthy reference list. Thanks again for everything. I contacted Hupy and Abraham after I was run off the road on my motorcycle by a car that had lost control. My attorney, Jason Abraham, handled all of the headaches of dealing with the insurance companies and filed all the paperwork; all I had to do was recover from my injuries and the rest was done for me. I felt I was really being taken care of by the entire staff. In the end they negotiated a fair settlement that I was happy with. I would, with full confidence, recommend Hupy and Abraham to anyone who was injured in an accident. 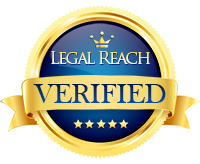 Attorney Jason Abraham is proud of the firm’s integrity and welcomes you to post your own review. If you had a nice experience with Attorney Abraham, let us know. We enjoy receiving feedback from our clients and we’d love to hear from you. 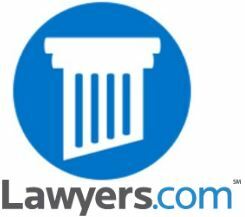 I was involved in an accident last year and initially retained a different lawyer. I was very unhappy with their services. I was told that, "Jason Abraham is the best attorney in the world!" Based on this, I decided to use your offices for my case. I wouldn't have it any other way. I tell my friends about you and your law firm all the time. Thank you for being so great to me!